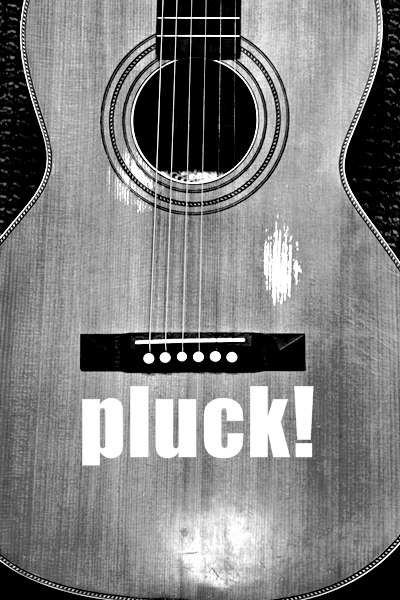 pluck! The Journal of Affrilachian Arts & Culture, takes its name from a Nikky Finney poem of the same title which appeared in RICE. The journal features poetry, prose, and visual art from writers who identify with multicultural experiences based in the Appalachian region. The journal was founded by Frank X Walker and debuted in the Spring of 2007. pluck! is currently released twice a year through the University of Kentucky. According to Lorenzo Thomas, “Every poet must confront a serious problem; how to reconcile one’s private preoccupation with the need to make poetry that is both accessible and useful to others.” Poetry can’t cure cancer, end racism, or stop domestic violence, but it often is the most direct road out of the dark places those tragedies take us. William Carlos Williams said, “ … men die miserably every day for lack of what is found there (in poetry),” yet, there are days when I doubt there are sufficient words enough to deal with multiple maladies of government gridlock, real-world consequences of a shutdown, self-immolation, or another mass shooting. I believe fervently that words have power, but if I haven’t learned anything from a recent twenty-one hour speech by a congressman, words can also just be rhetoric. There seem to be enough season premieres, final episodes, reality TV, and ESPN channels to allow us to bury our heads in the sand, which means television itself is also part of the problem. If the billion dollar opening weekend for the Grand Theft Auto video game speaks volumes about how comfortable we have become with misogyny and violence as a culture, the fact that in some states it is more difficult to vote than to purchase a gun speaks even louder. Critics of the current POTUS like to compare President Obama to Hitler, and their wholesale rejection of the Affordable Care Act suggests that they haven’t read the two thousand-plus pages or the table of contents. We have lost our way. It seems our private preoccupation as a country is dysfunction. Many of our leaders in Washington seem perfectly willing to let the car go over the cliff as long as they aren’t the ones riding in it, while a lot of other people are struggling to identify the poetry in their lives. So now what? Do we stop writing? Do we surrender? Do we grab the remote in one hand and the controller in the other and self medicate? I say hell no! We can’t afford to stop challenging the madness or the ignorance. Sometimes, the pop dysfunction is so indefensible that only art is fit to respond to it. Before K—-’s recent egomaniacal notion that the confederate flag worn on his back and chest and merchandise could be reclaimed and its vitriolic and tainted iconography be erased my mere association, Lil’ Wayne’s ill advised Emmett Till reference illustrated the need to educate those who are influencing our children’s generation. The only silver lining I have found about the Trayvon Martin case is that it allows those ignorant about what happened in Money, Mississippi to better understand the Emmett Till story, confirming the notion that when we don’t learn from history we are doomed to repeat it. Ultimately I want to believe that truly understanding the full backdrop of the Till story allows more than a surface knowledge of Medgar Evers before his assassination in 1963. If today’s generation can follow a straight line backwards for fifty years and then another shorter line back to 1955 they will see the links between J.W.Milam, Roy Bryant, Byron De La Beckwith and George Zimmerman. This special issue tries to give voice to all our thoughts and emotions when it comes to institutional and individual injustices. It celebrates the healing power of words. And most of all, this issue demands that we not forget. We at pluck! hope that you will find solace within these pages. We hope you will recognize that if these contributing authors were running the country we’d be a whole lot better off. And that would be a perfect tenth anniversary issue present for the staff. You shouldn’t be able to hold public office unless you can write a crown of sonnets. Patricia Smith for Congress! And Bianca Spriggs for President! You heard it here first. You can read John Sims essay “Guns and Skittles” in the print issue of pluck! 10. John Sims, a Detroit Native, is an interdisciplinary conceptual artist, creating multimedia projects in the areas of visual mathematics, art, text, and political activism. His work has been featured in the science journal Nature, Art in America, Sculpture, BOMB magazine, Transition, FiberArts, NYArts, Science News, CNN, New York Times and the Washington Post.www.johnsimsproject.com. In 2013, The Thirteen, a multimedia narrative, debuted as a visual art exhibition and live musical/spoken word performance paying homage to thirteen black women and girls who were lynched or otherwise violently murdered in Kentucky. The Thirteen enshrined the shared history of the thirteen women through a short film and live performance by an ensemble of fourteen Kentucky musicians and vocalists paired with poetry by Bianca Spriggs and original photography by Angel Clark. Below are photographs from The Thirteen. A selection of poems from this project are available in the print version of pluck! 10. Angel Clark is a Photographer/Filmmaker and creator of the newly formed parkour! Media Design team. She is a native of Richmond Virginia, but after 10 years, considers herself an honorary Lexingtonian. Currently, Angel serves as the Director of the Center for HIV Prevention and Community Outreach at AVOL AIDS Volunteers, Inc. Angel’s photographs have appeared in pluck! The Journal of Affrilachian Arts and Culture, The Lexington Herald-Leader, Kentucky Monthly, Appalachian Heritage Magazine, and the UK Appalachian Stories Project. Roadside memorials mark geographical points of departure in a landscape that is generally devoid of real human interaction or activity. They are almost always built in the no man’s land bordering our country roads, interstates and highways. We pass them at 60 miles an hour, sometimes glancing back but are never afforded the time to actually see them. This project is about slowing down. Polaroid was a natural choice. Early in its development, Polaroid film was widely used by police officers and other law enforcement, because it produced an unalterable instant photo – irrefutable evidence of a particular event. These photographs are evidence of something greater – an unspoken need to commemorate and celebrate our own fleeting lives and stories. Phillip March Jones is an artist, writer, and curator. He is the founder of Institute 193, a non-profit contemporary art space based in Lexington, Kentucky. March is his mother’s maiden name. Gerald L. Coleman is a native of Lexington, KY. He did his undergraduate work in Philosophy and English, before completing a Master’s degree in Theology. He is currently finishing work on the first, in a series, of Fantasy/Sci-Fi novels entitled Sanctuary, and has just compiled his second collection of poems entitled naked. He is a lover of espresso, early mornings on the golf course, and Lexington in the fall. He is a founding member of the Affrilachian Poets. Jeremy Dae Paden was born in Milan, Italy and raised in Nicaragua, Costa Rica, and the Dominican Republic. He lives in Lexington, Ky where he is an Associate Professor of Spanish and Latin American literature at Transylvania University and spends his free time baking bread for his children and wife. His poems have appeared in here there and yon, including Atlanta Poetry Journal, Adirondack Review, Beloit Poetry Journal, Louisville Review, pluck!, Tidal Basin Review, and various others places and journals.